We know, right? Right when you’re getting used to hanging out with your friends all hours of the night and sleeping late the following morning, it seems like it’s time to get ready to go back to school. And if you’re the type of gal who tries to hit the snooze button as much as possible before then hitting the shower, you probably don’t want to spend a whole lot of time fussing over your hair. So…why not cut it? Short hair is easy to maintain. It’s fashionable. And it’s one of the best ways to show off your pretty face. It’s all about knowing which kind of haircut works best. The classic pixie is one of the cutest looks ever. And whether you have a laid back casual kind of style or you actually like being a popular fashion plate, this kind of hairstyle will complement your personal taste. Easily and effortlessly. As you’ll see all throughout this feature, bobs are back in a really big way. And one of the most popular ones right now is the shaggy bob. 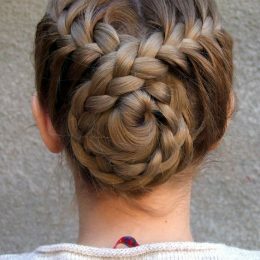 A look that is just perfect if you happen to have naturally thick hair. This is a bob that’s great for naturally curly locks. 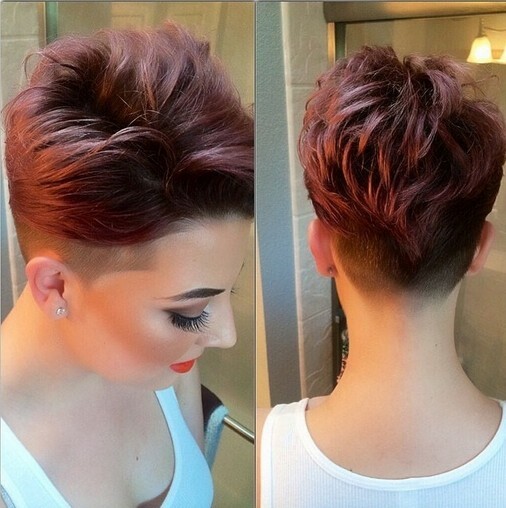 Your hair’s texture combined with this short cut is a literally get-up-and-go style. Is your hair already short but you want to try something new? Take the little bit of time that you have left to grow out the top and front of your hair. Then lighten up those parts. It will give you an exclusive kind of look. You gotta love it. The short bob. The long layers. The platinum color. All of it. Here’s another way to make a pixie work in a really remarkable kind of way. 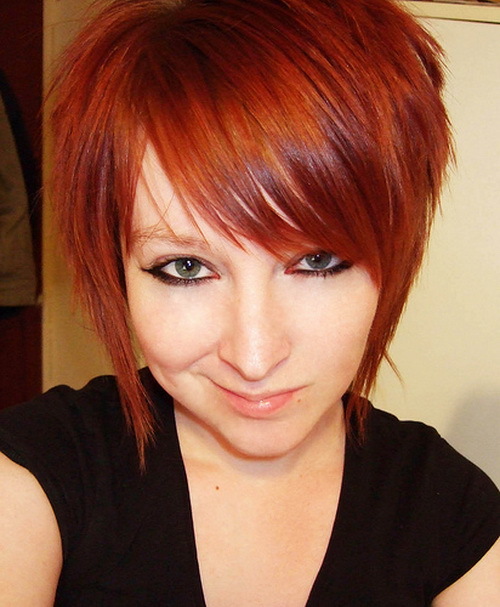 First, get it cut into an asymmetrical length. 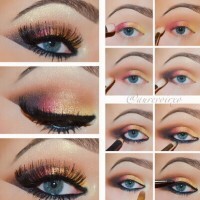 Then add a splash of color in the front. You can either get it highlighted violet, you can add some blue weave tracks or you can spray a bit of red color onto your hair like she did. Is your hair not super straight and not really curly either? Nix the flat irons and perms and simply cut your hair into a bob. If you ask your stylist to give you some long layers like this, you’ll end up with the kind of cut that you’ll be in love with throughout the entire school year. Everybody can’t rock a spiky bob. But if your hair is thick and you hate the thought of using curling irons or rollers, here’s a look that can help you to easily—and still stylishly—avoid both. We’ve personally loved the Mohawk cut for a while now. A part of the reason is because there are simply so many different variations of it. 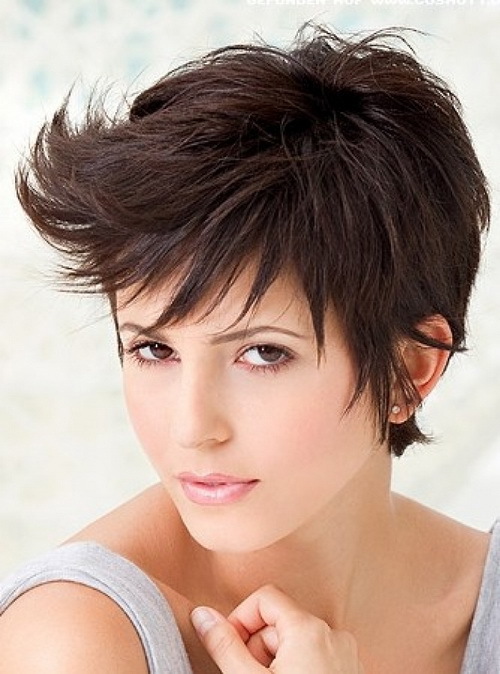 One that will help you to look pretty youthful is the two-tone Mohawk. Go light brown. Go blonde. Go red. The sky is truly the limit with a look like this. She’s precious. 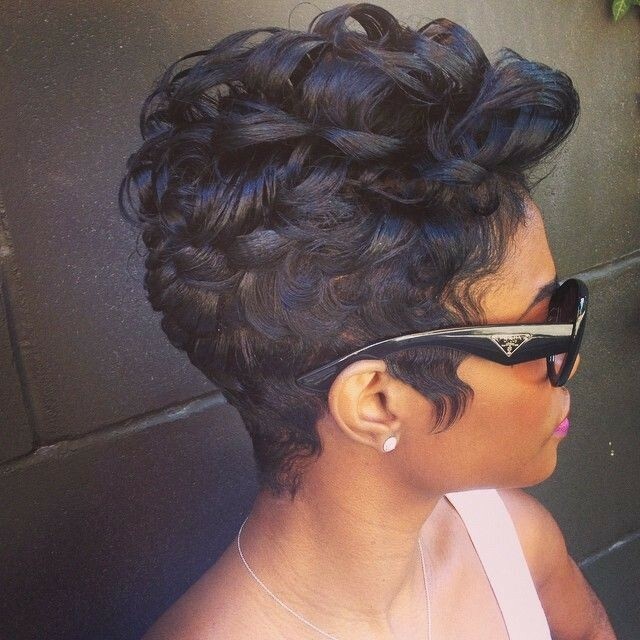 But then again, any woman would be with a layered bob like this one. Are you ready to go really really short? 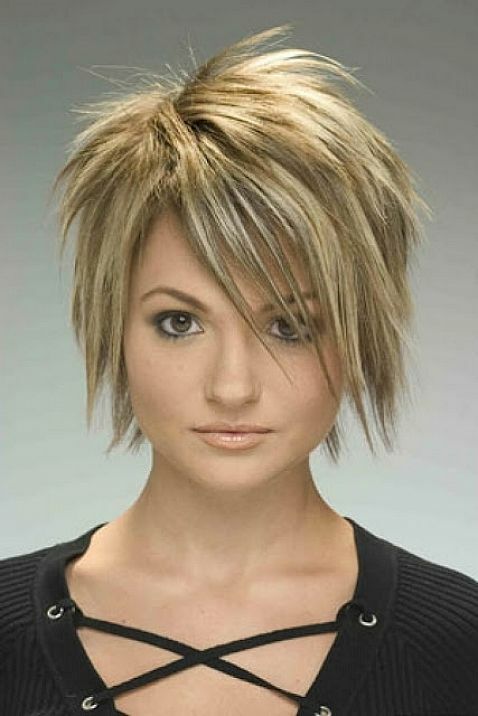 If so, take your stylist a picture of this choppy pixie. Guys and girls at your school will be envying this cut if you decide to get it. Another look that you can try is to simply take some of the length off of the sides of your hair and still leave quite a bit up top. 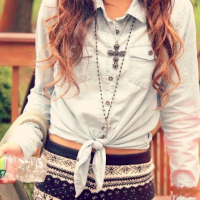 That will make it possible for you to style it several different ways. 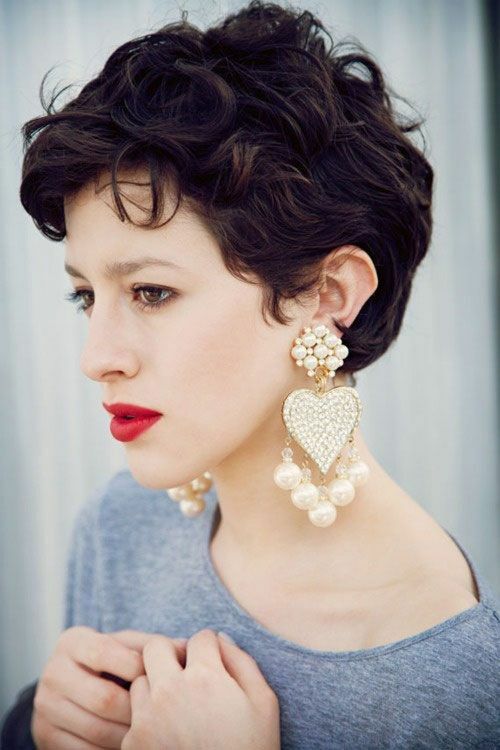 Do you have a round face and thick hair and you want a short do that isn’t super short? Search no more. This cut checks off everything on your list. Exquisitely so. It’s one of the best cuts on here. The heavy bang is adorable and the bright red color is on trend this year. 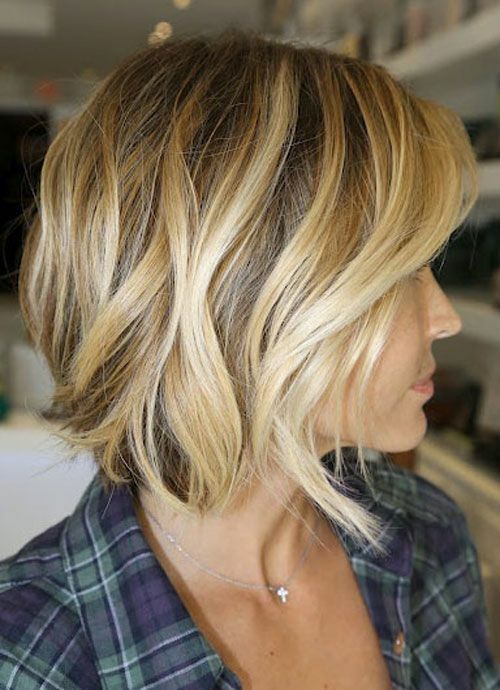 Here’s an A-line bob that you might like. Honestly, the cut is pretty cute on its own but what caught our attention was the blonde streaks that are running through it. 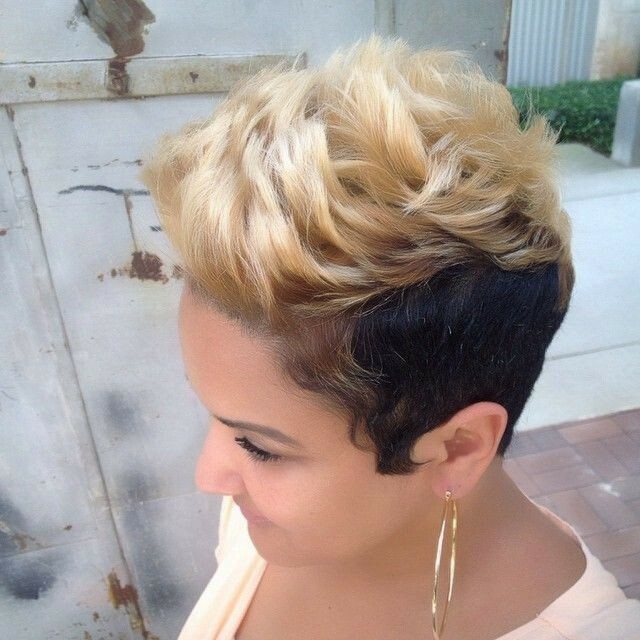 This particular cut is basically a Mohawk and pixie cut combined. Mostly due to the clipper cut on the sides. It’s pretty bold yet still really beautiful. This is a simple bob. No bangs. No color. Not many layers. Effortlessly stunning. Or you can go with the razor cut bob. Still really easy to maintain but with a bit more definition to it than the simple bob. If you have a bit of a modified Mohawk look but you want to “girl it up” a bit, here’s an excellent way to do it: add some really small pin curls. 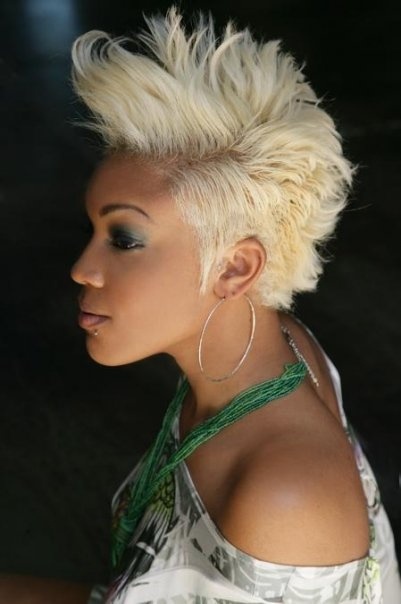 Or you can make your Mohawk “all the way live” by spiking it and adding a bright and bold color to it. 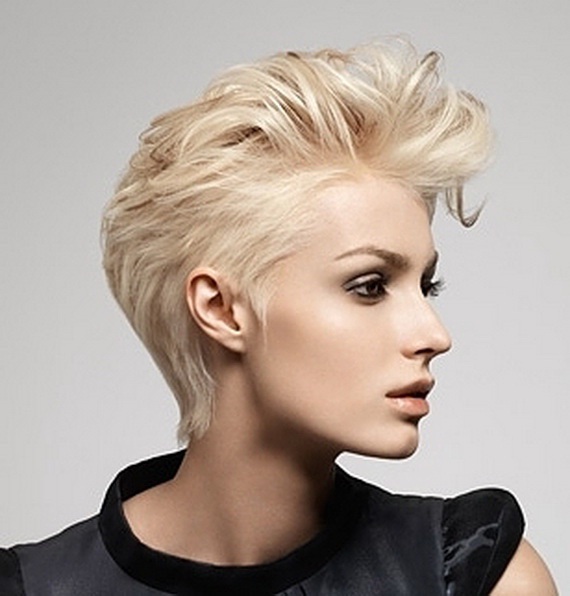 There is something that is both delicate and daring about this short style. Probably due to how the cut works so well with the naturally curly texture.